Yes, I know it's been a while since I've brought you a competition but I want to make sure it's something I know you'll love. Rozanne Stevens is a South African chef who has been putting up with our atrocious weather for over 10 years (why???). She is a regular guest on the Pat Kenny show on RTE Radio 1, teaches cookery classes galore and in her spare time writes cookery books. 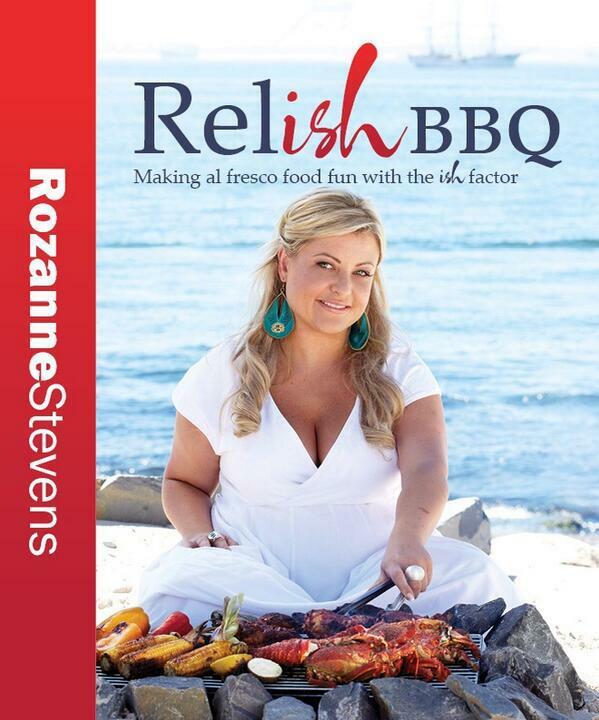 Her latest one is fantastic : called Relish BBQ, it's all about outdoor cooking without the sausages and frozen burgers. I tell you this because I've actually eaten some of the dishes in the book, including Cheesy Chili BBQ Sweetcorn and Lee Ann's Broccoli and Bacon Salad. The full colour 280 page cookbook has an easy to follow format, as each themed chapter contains recipes for simple yet show-stopping main dishes, with complementary cocktails, coolers, salads, sides and desserts – each with an ethnic twist. Across the separate chapters, with titles such as Mexicanish, Thaiish, South Africanish, Chineseish and Indianish, Rozanne has created summer style recipes around meat, chicken, seafood and vegetables, showing how to add excitement and authenticity without having to re-stock your pantry. I will post the prize within 28 days (once I get your address, of course). If you don't response within 14 days, then I'll redraw a winner. Mexicanish! Hopefully the weather will improve enough so that we can full use of this fab book! Indianish, was at one of Roz's demos a while ago, she's great! The title of a chapter, and my favourite chapter due to the content and tastes covered, is Mexicanish! Arriba and suchlike! Sinead, Lucy picked Lucky Number Seven and that's YOU! And I love Glasson... it turns my gas on.